Who is the Owl aka Leland Owlsley? The Owl is a Marvel villain, who is a crime lord within New York City, and is known for battling the hero Daredevil. 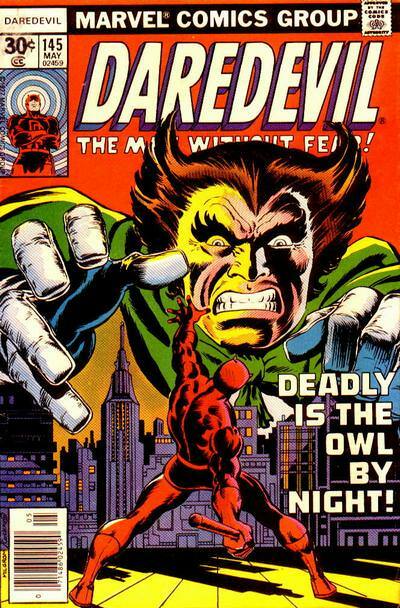 The Owl is expected to be a villain in the Daredevil netflix series. Leland Owlsley will be played by actor Bob Gunton. Leland Owlsley maintains a facade of being a respectable financier and honest businessman. The reality is that behind the scenes he has created a side business of money laundering for various criminals and organizations. When an audit reveals he is doing underside dealings he decides to fully embrace crime and creates the persona of The Owl. As the Owl he creates his own gang and seeks to control the criminal underworld of New York City. He quickly creates a reputation as both a gang leader and a ruthless financier. He builds a large headquarters which is designed as an Aerie hanging over the Palisades cliffs. The building is full of exotic birds, many owls and also is heavily booby trapped. He begins taking a serum that seems to make him stronger and gives him the ability to glide. The serum makes him more owl-like increasing the size of his eyes and reducing the size of his ears. Surgical enhancements to his neck and spine allow him to turn his head 180 degrees like an owl. Owlsley sets up an accountant George Grey to be the fall guy on all of his illegal transactions. The IRS is investigating Grey and closing in on arresting him. Realizing his predicament Grey goes to Owlsley to beg him to save him. Owlsley only laughs at him. Grey shortly thereafter dies in an apparent suicide by car. As the IRS goes through the transactions they uncover a link Owlsely and warn him to get a lawyer. Owlsely hires one of the best lawyers in town, Matthew Murdock. Not believing that Murdock can get him off Owlsley decides to up his game by bringing in superpowered henchmen. He hires a strongman Ape Horgon and gunslinger Sad Sam Simms. The two henchmen are set out to kidnap Murdock in an attempt to retain the services of the lawyer. The two henchmen are beaten senseless by Daredevil. Owlsley comes up with a new dastardly scheme. He believes that if he can defeat Daredevil the rest of the criminals of NYC will follow him. He kidnaps Daredevil, but is dismayed when the hero quickly escapes. Daredevil is now running around the Owls headquarters and an epic battle transpires. While Daredevil is more martially skilled, Owlsely is on his home turf. Owlsley is able to lead Daredevil into various traps within his Aerie. Police begin to descend upon the Aerie and Owlsley realizes he must escape. As he tries to escape, Daredevil strikes tipping over his boat. Owlsey is soon apprehended and sent to Prison. Owlsley vows to get revenge on Daredevil and Judge Lewis that sent him to Prison. At one point he holds a mock trial with criminals as jurors seeking to get an execution of the Judge Lewis. In another episode he joins with a Mr Kline to restore his criminal organization. Another bizarre scheme had Owlsley tape recording the mind of waves of humans allowing to hold their skills for ransom. Flight -Can glide, and fly over small distances. Has used a wide variety of technological contraptions as weapons and traps, including claw like razors, cages, cold guns, robots, laser beams, and various poisons. 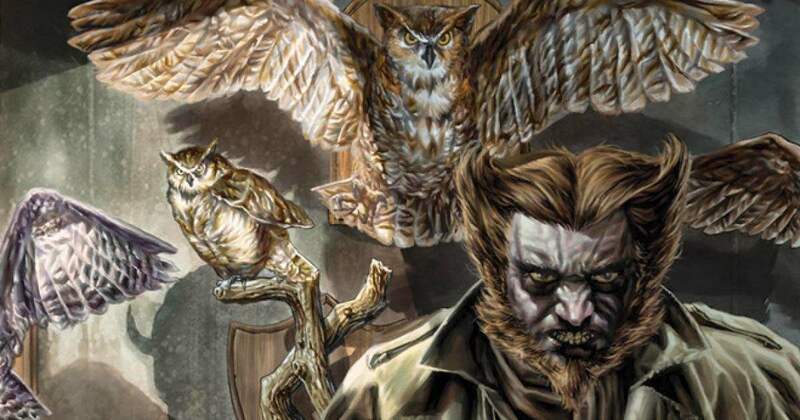 The Owl is expected to be a villain in the Daredevil netflix series. He will be played by actor Bob Gunton. Bob Gunton is most known for playing authoritarian like characters including the warden in the Shawshank redemption and the Chief in Demolition Man.